"Can't believe they just let him out like that." 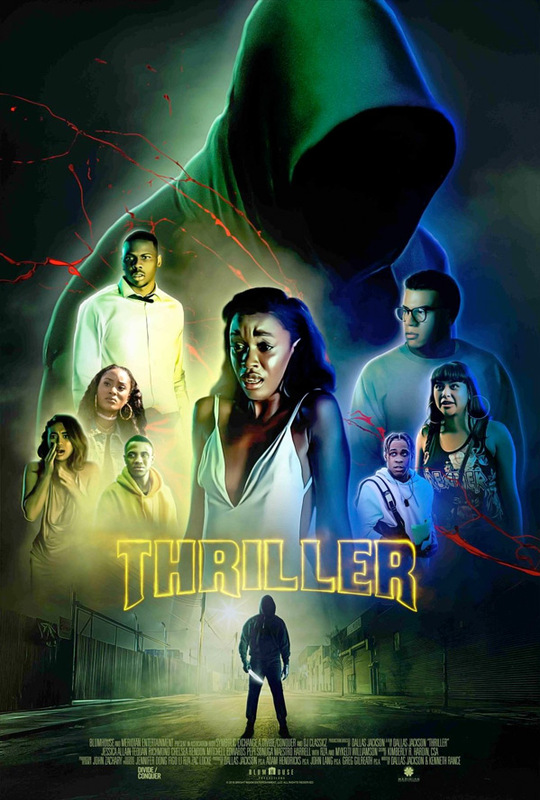 An official trailer has debuted for an indie horror thriller film titled simply Thriller, from writer/director Dallas Jackson. This has no relation to the Michael Jackson music video for "Thriller", which is actually getting an IMAX 3D re-release this year. This Thriller is about a childhood prank that comes back to haunt a clique of South Central Los Angeles teens when their victim returns during Homecoming weekend. This stars Jessica Allain, Luke Tennie, Tequan Richmond, Paige Hurd, Mykelti Williamson, and RZA. This is premiering at the LA Film Festival underway right now. It reminds a bit of I Know What You Did Last Summer, about a killer getting some revenge. See below. Years after a childhood prank goes horribly wrong, a clique of South Central LA teens find themselves terrorized during Homecoming weekend by a killer hell-bent on revenge. Thriller, formerly under the title Vengeance, is directed by American filmmaker Dallas Jackson, making his feature directorial debut after work on TV shows including producing "South of Nowhere" and "Rebel". The screenplay is written by Dallas Jackson and Ken Rance. This film will premiere at the Los Angeles Film Festival - currently underway now. No official release dates are set yet - stay tuned for updates. First impression? How does this "thriller" look?